CHICAGO -- What kind of wine pairs best with a Chalupa? 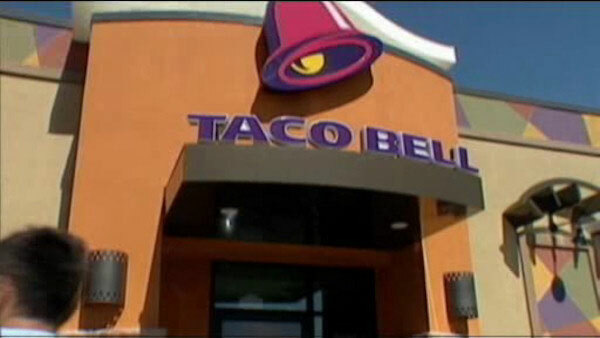 Taco Bell customers in Chicago and San Francisco will soon be able to find out. The chain says it will open a location that serves wine, beer, sangria and frozen mixed drinks in Chicago next week, marking the first time it will serve alcohol in the United States. The new restaurant will also feature trends Taco Bell says it is seeing among millennials: "tapas-style" appetizers, a mural by a local artist and an open kitchen. "You will literally be able to see the food" before it's prepared, said Meredith Sandland, Taco Bell's chief development officer. "(Customers will be) able to see all the beautiful ingredients." A similar location will open in San Francisco later this month, according to Taco Bell, which is owned by Yum Brands Inc. The San Francisco restaurant will have beer and wine, but no sangria or mixed drinks. Taco Bell says it will be by AT&T Park and feature a patio and window where people can pick up orders. The company hasn't said exactly when it will open. Aside from the alcohol and appetizers, Taco Bell says the menu will be the same as regular locations. Taco Bell isn't alone in trying alcohol. To try and boost sales later in the day, Starbucks has also been rolling out wine, beer and small dishes at select U.S. locations. Chipotle also serves margaritas. The plans for the Chicago location were announced earlier this summer, although an exact opening date and other details weren't disclosed at the time. It is just the latest evidence that traditional fast-food chains are trying to revamp their images to be more in line with changing expectations. In addition to beer ($4), wine ($4) and sangria ($4.50), the Taco Bell location in the Chicago's Wicker Park neighborhood will offer "Twisted Freezes" - frozen drinks that have rum, tequila or vodka mixed in. The latter will come in Mountain Dew Baja Blast, Cantina Punch and Cantina Margarita varieties, and cost between $6.19 and $7.19. The restaurant will open on Tuesday, Sept. 22. Taco Bell says the new restaurant concept reflects the "millennial trend of seeking more urban environments." Right now, it says the vast majority of its nearly 6,000 U.S. locations are in suburban areas, with less than 1 percent in urban neighborhoods. But Taco Bell said it planned to add 2,000 locations in the U.S. over 10 years. And Sandland said "several hundred" of them will have the design catered to city streets, with a portion of those likely serving alcohol. Restaurants that serve alcohol will be called "Taco Bell Cantina" and offer a "tapas-style menu of shareable appetizers." They include nachos, quesadillas, chicken tenders and rolled tacos.